South African insurtech startup Simply Financial Services has rolled out a new product that allows businesses looking to provide quick and easy life insurance for their employees to get it online. 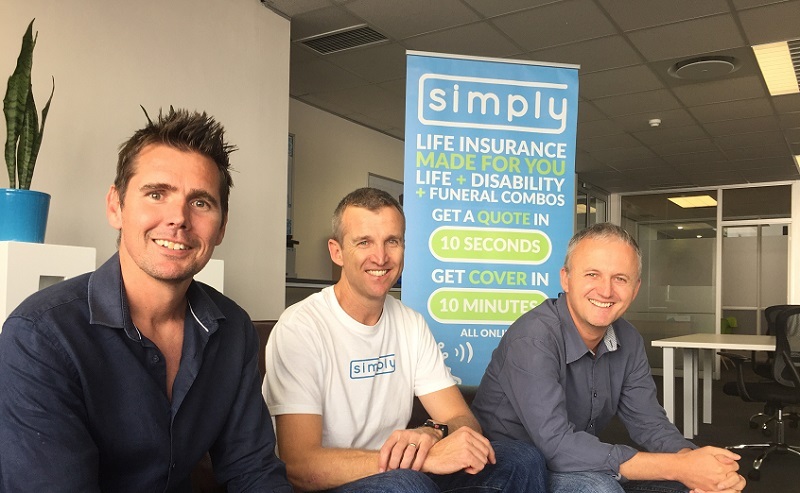 The Cape Town-based Simply, launched in November of last year, uses its online platform and call centre to sell insurance family cover directly to individual breadwinners, domestic cover via domestic employers, and business cover via SME employers. It has now launched a product for businesses, a life insurance combination comprised of life, disability and funeral benefits – specially designed for small to medium sized businesses (SMEs) in South Africa and available online in under 20 minutes. “Traditionally group life insurance has been dominated by large insurance companies and sold by brokers. Commission is regulated at relatively low levels and it often doesn’t make financial sense for brokers to chase SMEs – especially when taking into account the administrative burden, which includes collecting employee information, and adding and removing employees,” said Simply’s chief executive officer (CEO) Anthony Miller. The SME sector in South Africa is sizeable and growing year on year. According to Stats SA figures from 2015, the number of SMEs in the formal sector is close to 500,000. “As a result, there is a long tail of SMEs out there that haven’t been served in the traditional group life space. This is the market we’re targeting with this product. We believe SME’s provide a great opportunity to do well while doing good,” said Miller.